#FestivalCollective Spotlight On: Charleston's "Place Stamp Here"
Place Stamp Here follows a girl and her dog as they travel together while being disassembled along their way, and collecting pieces to reassemble themselves. They don't quite end up as they started, similarly to how the world doesn't either. Sparked from the mind of Kelly Sharp, while looking for more exciting projects to work on—"My favorite part of my job is that my chair swivels, so I need pursue other, more lovely projects." A lovely project indeed, Sharp worked with animators Joy Vaccese and Noelle Melody to make this story. Vaccese and Melody are illustrators and animators who, coincidentally also are twin sisters. Both graduating from the Pratt Institute went on to starting their own company, Twins Are Weird. Having several shorts under their belt, Place Stamp Here won Best Animation at our own Charleston International Film Festival and winner at the Sodak Animation Festival. 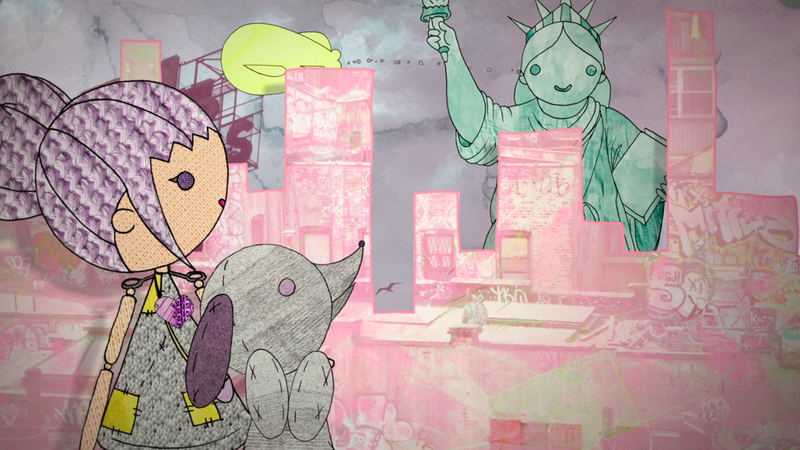 Place Stamp Here is now available to watch on Film Festival Collective presented by Xfinity.